Al-Qaeda's assault on the city of Mukalla began on Thursday with the release of nearly 300 local prisoners, including one of the leaders of an affiliated criminal group. 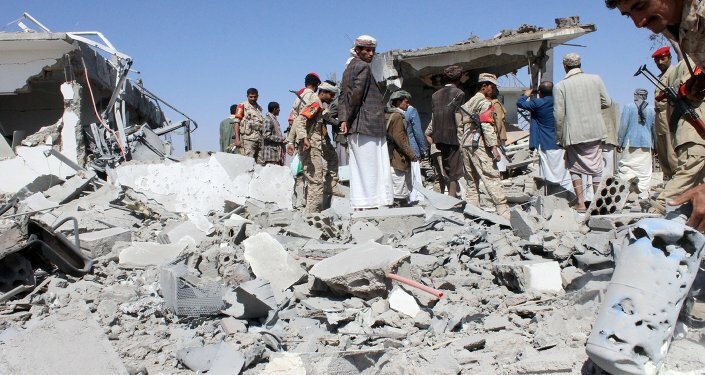 BEIRUT (Sputnik) — Militants from the terrorist group al-Qaeda seized a port city in southern Yemen a day after staging a prison break in the city 300 miles east of Aden, Mayadeen news channel reported on Friday. According to the Lebanon-based news outlet, al-Qaeda's assault on the city of Mukalla began on Thursday with the release of nearly 300 local prisoners, including one of the leaders of an affiliated criminal group who was imprisoned for four years. Yemen is currently experiencing violent clashes between the Houthi militant group and forces loyal to President Abd Rabbuh Mansur Hadi who is in hiding outside the country. Moreover, the terrorist group al-Qaeda in the Arabian Peninsula acts in the south of the country. A Saudi Arabia-led international coalition has been carrying out airstrikes against Houthi positions in Yemen upon Hadi's request, particularly in the country’s capital Sanaa since Thursday night. The Houthi, Yemen's main opposition force, control large territories in the country, including Sanaa.